The motorbike market of Vietnam has recorded positive growth in recent years, despite being forecast to enter a saturation period by the Vietnam Association of Motorcycle Manufacturers (VAMM) two years ago. Five VAMM members – namely Piaggio Vietnam, Suzuki Vietnam, SYM Vietnam, Yamaha Motor Vietnam, and Honda Vietnam – have reported sales this year higher than those of the previous year. The total number of motorbikes sold by these companies rose from over 2.8 million in 2015 to over 3.1 million in 2016, and to nearly 3.3 million in 2017. According to a recent report of the VAMM, its members sold 783,940 motorbikes of all kinds in the second quarter of 2018, up 6.1 percent against the same period last year, raising the total number in the first half of this year to nearly 1.6 million. However, the number excluded those of such foreign brand names as Ducati, Kawasaki, KTM, Beneli, Harley Davidson, Triumph, and Royal Enfield. Experts predicted that motorcycle sales would exceed 3.3 million this year, as the second half of the year is an ideal time for manufactures to boost their sales, especially during the new academic year, and ahead of the New Year holiday. Sales of automatic motorbikes are also forecast to increase in the future as people’s income increases. This kind of product now accounts for 45 percent of the market share. Gianluca Fiume, Executive Vice President of Piaggio Group Asia Pacific and Chairman and General Manager of Piaggio Vietnam, said that the economic growth and rise in the average income of locals are encouraging the trend of more high-end automatic motorbikes. This segment in particular is expected to enjoy a higher growth rate than the motorcycle market’s general growth. 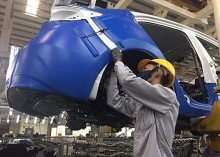 This is the reason why the Piaggio Group set a target to build Piaggio Vietnam to become a main commercial and manufacturing centre in the Asia-Pacific region 10 years ago, he added. Along with the general motorbike market, the large-displacement motorcycle market in Vietnam has become hotter in recent times as several giants – such as Suzuki, Thaco, and Honda – are focusing on distributing this kind of motorcycle. After succeeding with small-displacement motorcycles, Suzuki is moving to the over 300cc motorcycle segment to bring this potential market into full play. Meanwhile, after becoming a distributor of the BMW brand in Vietnam earlier this year, Thaco brought the first batch of BMW Motorrad motorcycles to Vietnam to meet consumers’ demand. 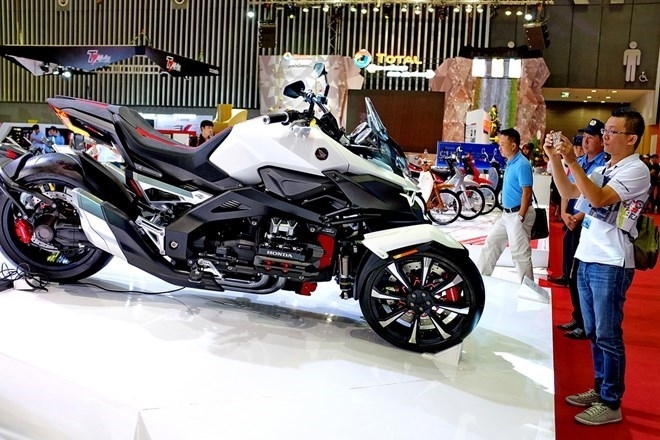 Honda Vietnam, which used to manufacture normal and automatic motorbikes and automobiles, also encroached on the large-displacement motorcycle market in May by launching its first large-displacement motorcycle showroom in Vietnam in Ho Chi Minh City. 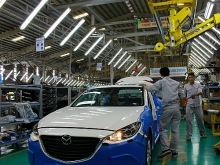 Toshio Kuwahara, General Director of Honda Vietnam, said that Ho Chi Minh City was chosen as it is Vietnam’s largest economic hub. 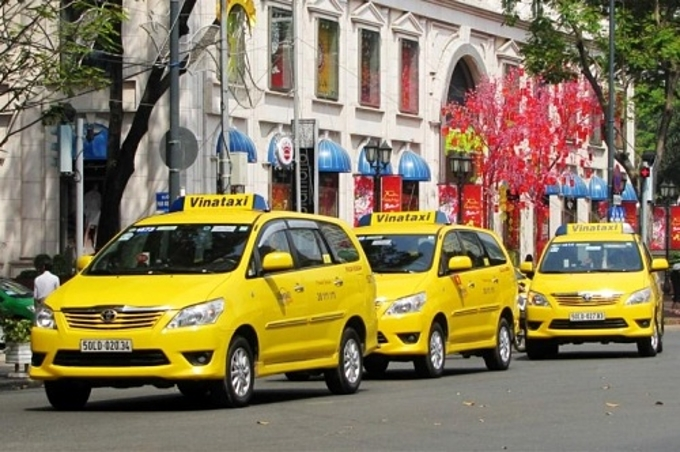 After the city, Honda will expand the business to Hanoi and some other localities, he added. Besides Suzuki, Thaco, and Honda Vietnam, Vietnam’s large-displacement motorcycle market has also seen the presence of big names from the US and the EU. At Vietnam AutoExpo 2018 held in Hanoi in early June, the four giants Harley-Davidson, Ducati, Triumph, and Royal Enfield brought their new products to the expo to carry out a customer survey.